If you hear a lot of nice vocal harmonies emanating from the Cultural District tonight it’s because two top vocal groups—Under the Streetlamp and Gentlemen’s Rule—are in town. Under the Streetlamp is composed of the four main cast members of the hit Broadway musical Jersey Boys. Their sound is derived from the 50’s and early 60’s when male (and female) vocal groups were all the rage. Under the Streetlamp’s songs are the same ones you’d hear in that era playing on the radio, on the bandstands, and by groups of guys singing under the street lamps of their neighborhood. 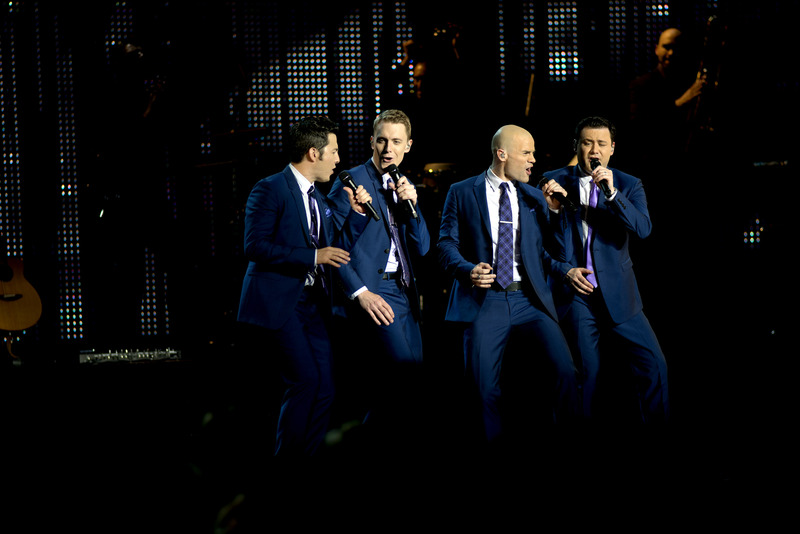 The group is composed of Michael Ingersoll, Michael Cunio, Christopher Kale Jones ,and Shonn Wiley. They combine together in tight vocal harmonies and talented dance moves for a fun party-like performance and are backed by a world-class band. You may also remember them from their PBS specials. Chicago a cappella group—Gentlemen’s Rule—brings additional excitement to the performance with their vocal arrangements of both classic and contemporary hits from Bill Withers to the Stones and Rascal Flatts. 8 p.m. Byham Theater, 101 6th St.